Oklahoma City and Omni Hotels & Resorts negotiated the convention hotel deal in 2017, though plans for the hotel stem back to 2008. Now the full-service, four-star hotel is just two years away. Omni Oklahoma City Hotel is currently under construction at 100 W. Oklahoma City Boulevard, between SW Fourth and SW Seventh streets and S. Robinson Avenue and S. Shield Boulevard. 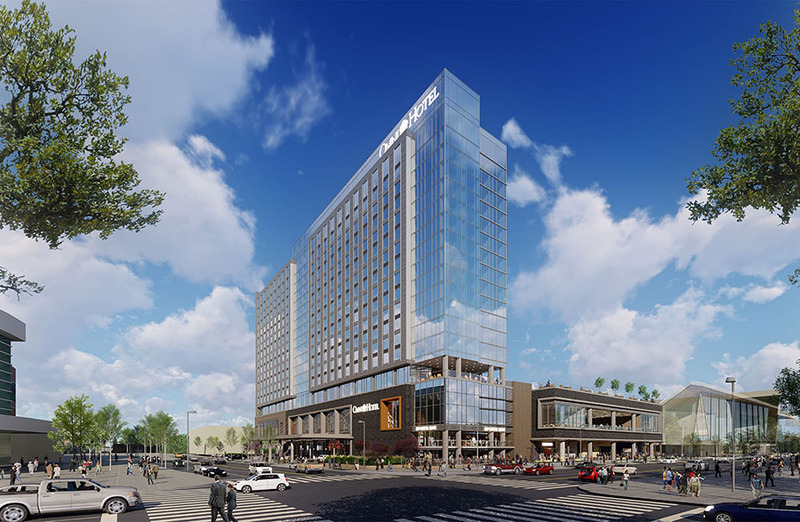 The 17-story hotel will stand across the street from the future MAPS 3 convention center and the 70-acre Scissortail Park as well as caddy-corner to a streetcar stop. The hotel is a $241 million investment and part of a public-private partnership with the city. Omni will pay for $157.5 million and hotel officials have asked the city to pay $85.4 million. Oklahoma City Council approved the deal during a 2017 council meeting to help support the convention center. Omni officials are in the process of setting up a temporary sales office in an old building near the hotel construction site. 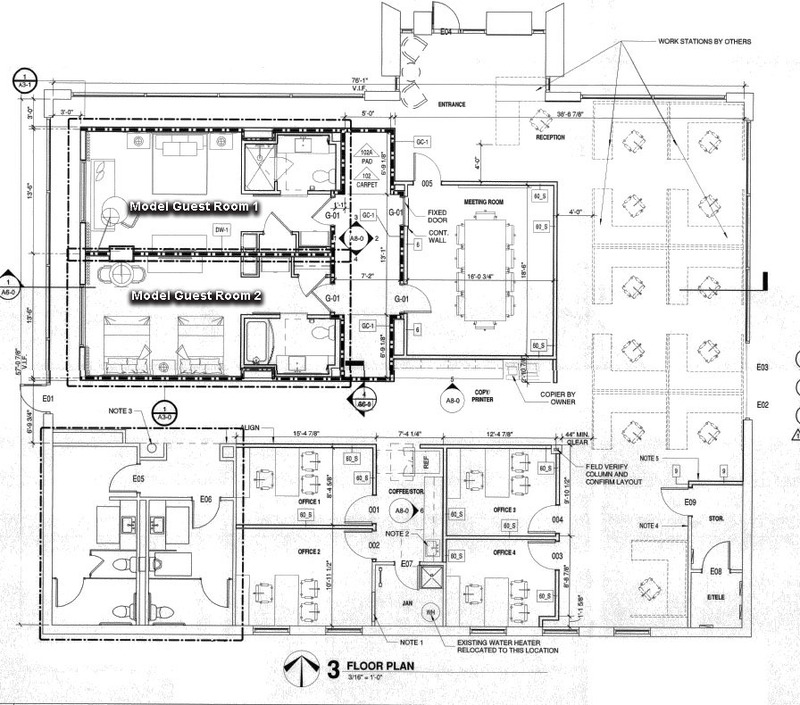 The office will have two model guest rooms and house the Omni Oklahoma City sales and hotel staff. 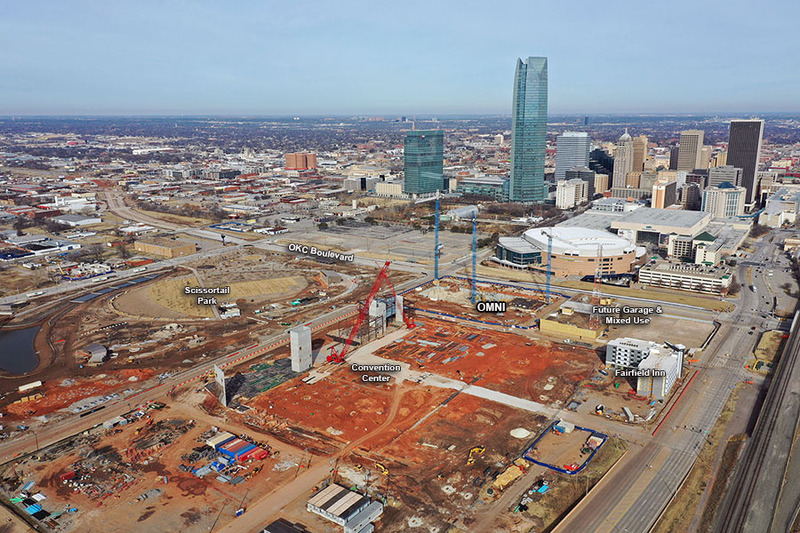 The sales, construction and design teams for Omni Oklahoma City are expected to move into the sales office mid-February. They will work from the building and move into the hotel once construction is finished. Dan Boyer was recently hired to be the director of sales and marketing for the Omni Oklahoma City Hotel. Boyer, who has held the same position in the past with Sheraton Grand, Marriott International and Renaissance Hotels, will manage, develop and implement strategies to drive more revenue for the convention center and hotel. Boyer is already in Oklahoma City working to kick-start the hotel’s initiatives by interviewing sales candidates and creating business strategies. He and the sales team will work with the Oklahoma City Convention & Visitors Bureau (CVB) to help sell prospective clients on the hotel while it is under construction and once its complete. CVB will help sell the hotel specifically to businesses and conventions. The CVB staff researches and spends time in cities like Chicago and New York, where major associations are headquartered and use the information to book hotels around the city, said CVB president Michael Carrier. 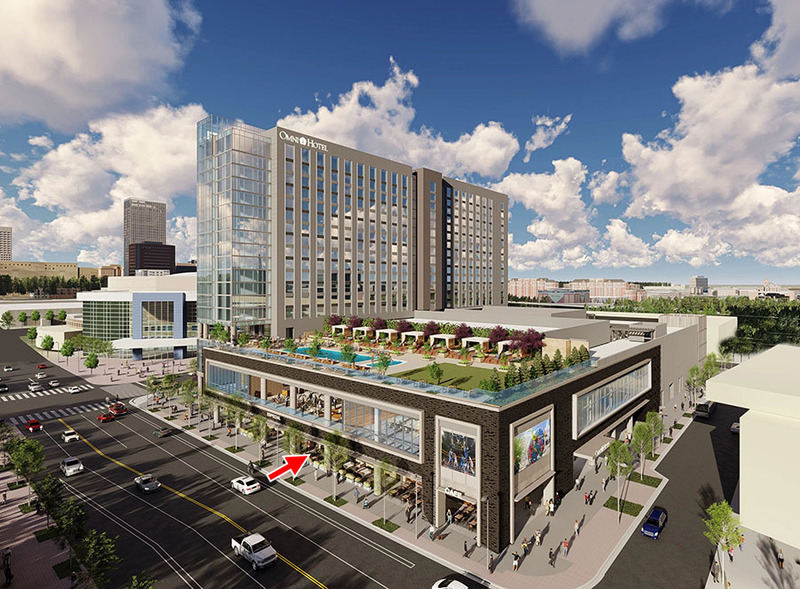 “The Omni specifically, because that’s the convention center hotel, would typically be the first hotel on the list that people would consider because of their proximity to the convention center,” he said. There have been some letters of agreements signed for businesses booking the hotel, but Carrier said that information will not be released until contracts are signed and finalized. There are currently no individual reservations. The Omni sales staff will be in charge of booking the hotel for social events like weddings, banquets and family reunions. 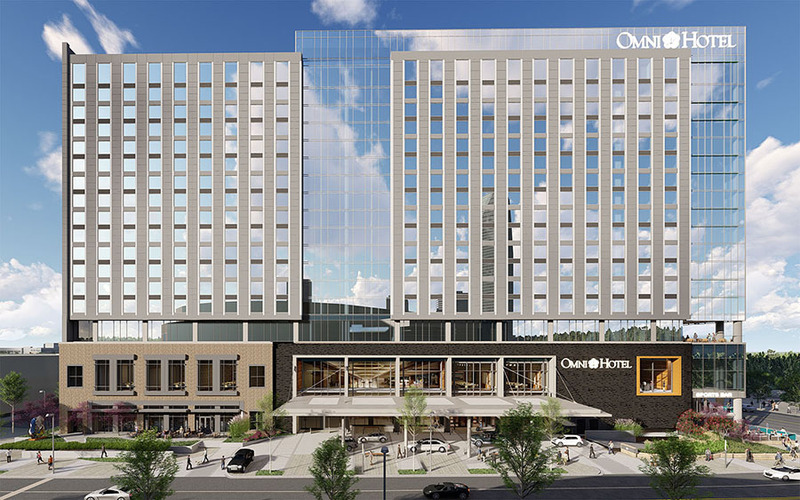 “There’s a lot of different markets that hotels serve; that’s why Omni will have their own sales office that will have a number of different people in it booking a variety of different types of activities in the hotel,” Carrier said. CVB and the Omni sales staff will also work with the convention center’s sales office, which will be managed by SMG, a worldwide entertainment and convention management company that also manages Cox Convention Center. The 605-room hotel will include 29 suites and feature regional design that will reflect Oklahoma and set it apart from other Omni hotels around the nation, Wykes said. Design characteristics will include a sky-blue color palette, abstract wheat patterns and chevron patterns inspired by Scissortail Park, according to an Omni press release. A number of rooms will be also be designed to cater to professional basketball players, featuring larger doorframes, longer beds, higher ceilings and taller showerheads. Preliminary talks have an entire floor dedicated to these rooms, though Wykes said that has not been finalized. The 78,000 square feet of event space will mainly be housed on the second floor. The third floor will have an outdoor event lawn next to a pool deck overlooking Scissortail Park. Seven food and beverage options will be available throughout the hotel, including an all-day dining restaurant, a coffee shop, a pool bar and grill and a two-level entertainment and sports bar. Some restaurants will line Robinson Avenue with outdoor patio seating and street entrances. The hotel will also feature a full-service spa with treatment rooms and a relaxation area, a modern fitness center and a retail shop. Boyer said he’s excited to be involved with the expansion and economic revitalization of downtown OKC. Construction is well underway with an underground parking garage rapidly taking shape. The hotel will also lease hundreds of spaces from the city in a garage to the east which will commence this summer. 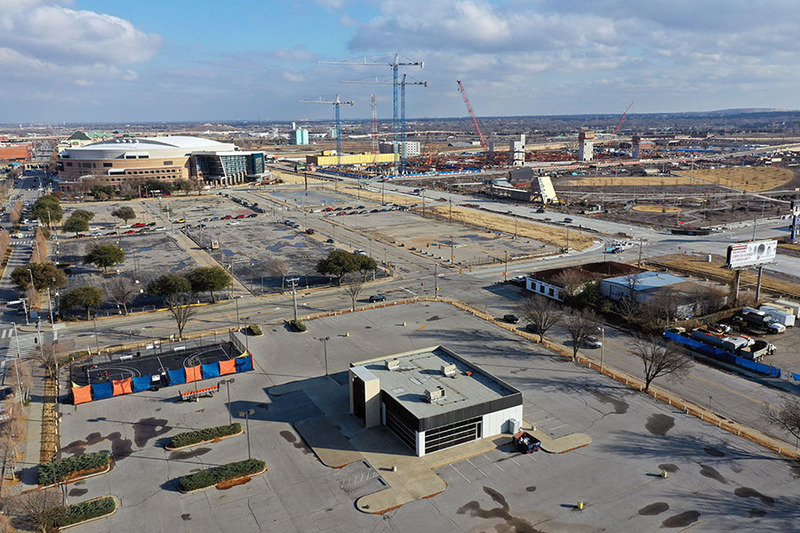 Carrier also confirmed that Bob's Steak & Chop House will open in the Omni in space along Robinson facing Scissortail Park. There will also be a large sports bar in the highly visible corner spot at the intersection of Robinson and the Oklahoma City Boulevard and directly across from Chesapeake Arena. 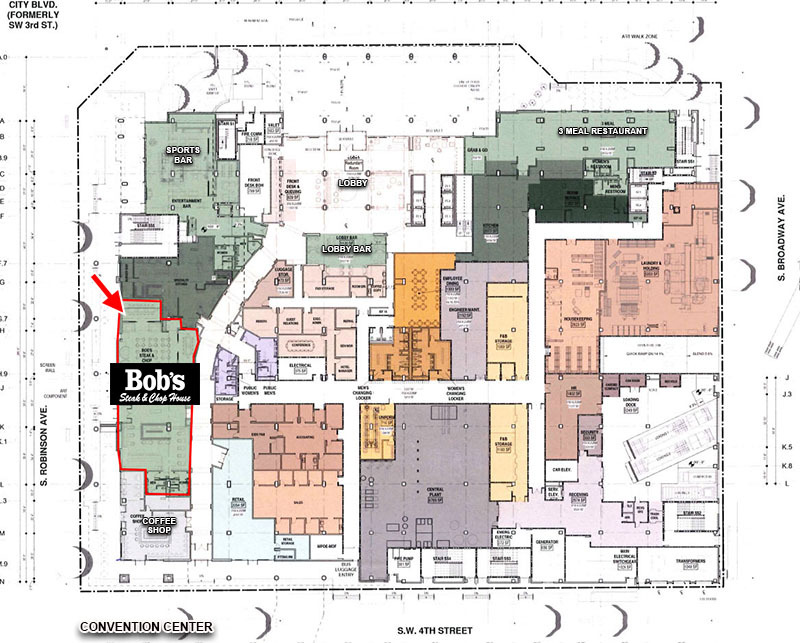 Bob's is headquartered in Dallas and currently operates 15 locations in 8 Omni hotels:: Amelia Island, Nashville, Fort Worth, Carlsbad, Dallas, Louisville, New York, Tuscon. The restaurant chain enjoys and strong reputation for large quality cuts of meat, an elegant atmosphere, big drinks and fine wines. The city had originally proposed a skywalk directly connecting the hotel to the convention center, but Omni lobbied against it, wanting as much foot traffic as possible along Robinson. A coffee shop is planned to take the space directly south of Bob's, providing three eating and drinking establishments facing Robinson and the park to the west. 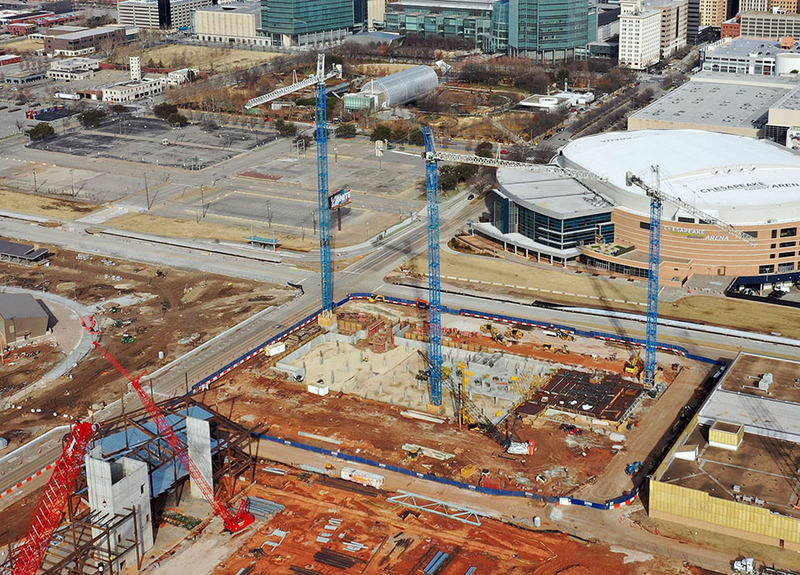 Construction on Oklahoma City Convention Center broke ground in June and is scheduled to open in 2020. Omni Oklahoma City Hotel is set to open in early to mid 2021. Scissortail Park and OKC Boulevard will be complete later this year.